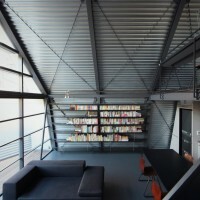 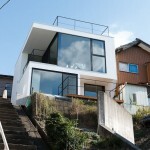 Keiji Ashizawa designed the Mishima House for a family in Tokyo, Japan. 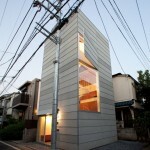 The theme for this house design is ideal for a small family. 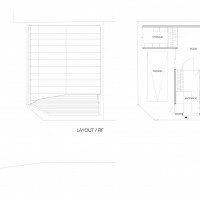 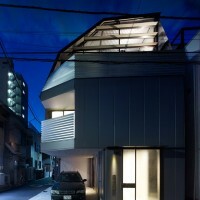 The idea behind this design is to accommodate privacy, while living comfortably in the dense downtown area of central Tokyo. 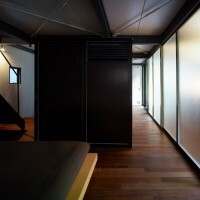 The rooms that need maximum privacy, such the bedrooms and bathroom, are located on the first and second floor. 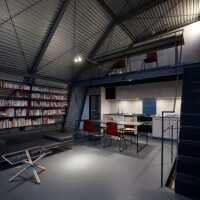 Living room and Kitchen are located on the third floor, with the study area located just above, in the loft. 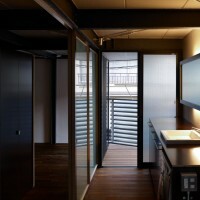 These rooms are situated as is to utilize the maximum potential of sunlight needed for each specific room. 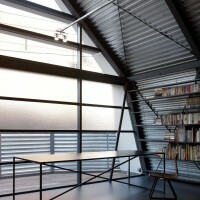 The third floor has very high ceilings which allows for a lot of natural sun light from the windows on the south side of the structure. 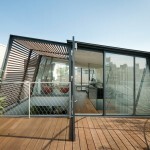 As the pictures show, the design of the handrail on the deck, along with the translucent windows, allows for maximum privacy from the outside world. 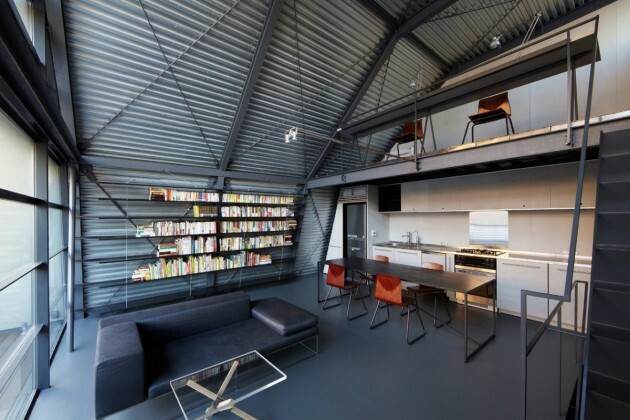 The rough steel frame allows ample amounts space, while keeping the budget to a minimum. 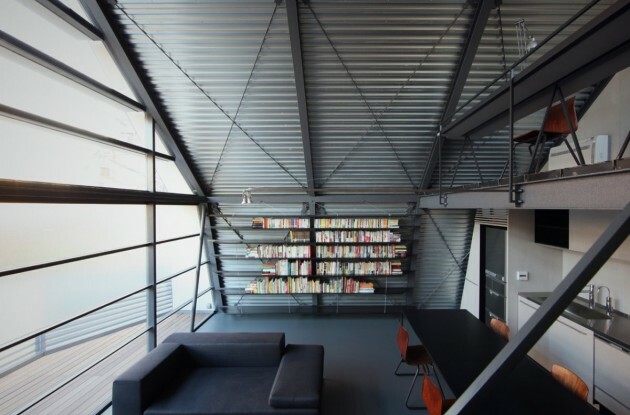 The inside handrail, light fixtures, bookshelf and other furnishings create a unique harmony and theme to the interior design. 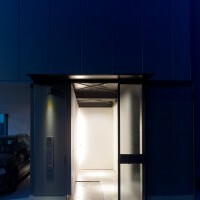 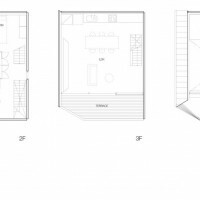 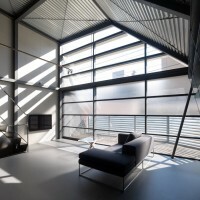 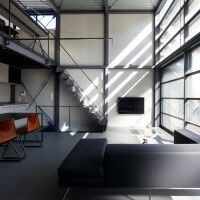 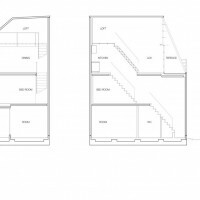 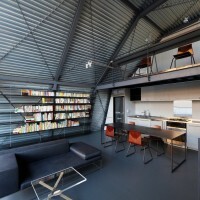 In conclusion, the design allows a comfortable, private and modern living space in the heart of the Tokyo.